One of the main reasons why products fail is because they don’t meet customer needs in a way that is better than other alternatives. That is the essence of product-market fit. In this talk at ProductTank San Francisco, I share advice from my book The Lean Product Playbook on how to achieve product-market fit. In order to achieve product-market fit, we need a model to really understand it. 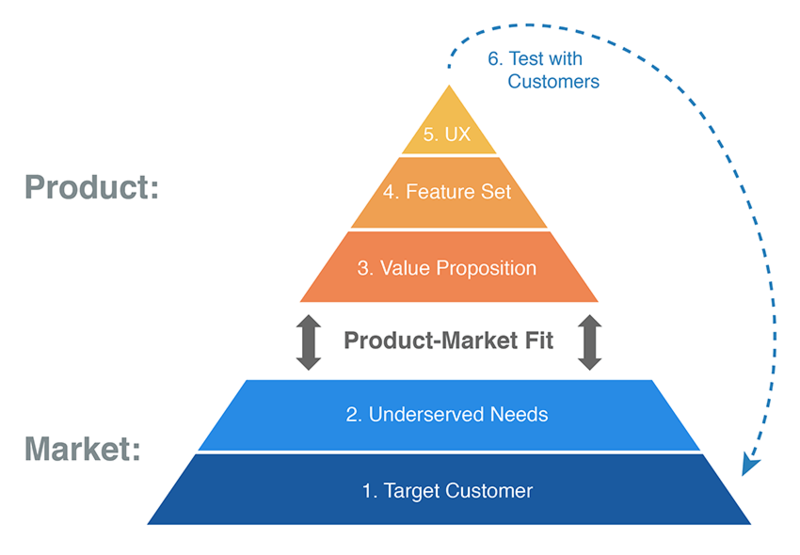 My Product-Market Fit Pyramid consists of five layers. It all starts with your target customer, which is the base of the pyramid. The layer above that is their underserved needs. These two bottom layers are the market. The top three layers pertain to your product. The first product layer is your value proposition: which customer needs are you going to address and how are you going to do so in a way that’s better than other products? The next layer above that is your feature set, which is the functionality that addresses the need for your customer. Finally, at the top layer of the pyramid we have user experience (UX), which is what your customer interacts with to use the functionality. 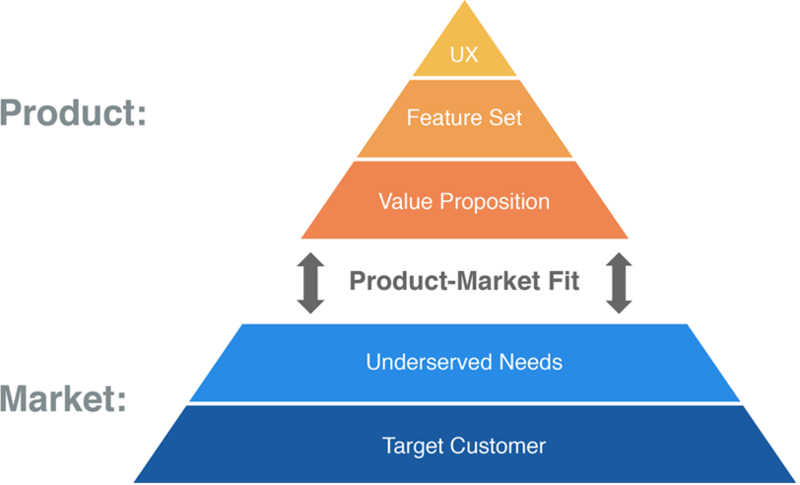 Given this framework, product-market fit can be seen as how well the assumptions and decisions you make in the top three product layers resonate with the market (the bottom two layers). To achieve product-market fit, your hypotheses and execution across all 5 layers must be solid. So you can view the Product-Market Fit Pyramid as a way to document the key hypotheses that you need to get right. Problem Space vs. Solution Space: Too often, product teams jump right into designing or building a solution before they truly understand the problem. Focusing on the problem space before you start thinking about solutions helps ensure you have clarity on your target customer’s needs. Importance vs. Satisfaction: How do you decide which customer needs offer the best opportunities to create customer value? I share my importance vs. satisfaction framework that helps figure this out. Kano Model: I discuss the Kano Model, a great framework that helps you classify customer needs into one of three categories: performance, must-haves, and delighters. Value Proposition Grid: I explained my value proposition grid, which uses the Kano Model to help you clearly define how you are going to be better than the competition. I close my talk by sharing a real-world, end-to-end case study of the Lean Product Process in action. We followed the advice I share in my talk and created a prototype of our initial product idea. We tested it with customers and it did not do well. But we iterated and used the learning we gained to pivot to a new product idea that had significantly better product-market fit. I hope the advice I share in my talk helps you improve the product-market fit of your products. 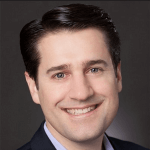 Dan Olsen is a product management consultant and coach who works with CEOs and product leaders to build great products and strong product teams, often as interim VP of Product. His clients include Facebook, Box, Microsoft, Medallia, and One Medical Group. Dan is the author of The Lean Product Playbook. Prior to consulting, Dan was a product leader at Intuit and was co-founder and CEO of TechCrunch award winner YourVersion, a personalized news startup.